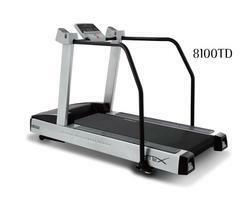 We are engaged in offering STEX Medical Treadmill 8100TD. We supply a wide range of Commercial Treadmill Machine, manufactured using with high grade raw material and using high end technology and precision to ensure high performance at clients end. Our supplied equipment gains a widespread appreciation which constantly prepares us to meet the high demands of our clients. We provide these Tread mills only for Hospital purpose. We are a top notch supplier of Hospital Cardiac Treadmill. 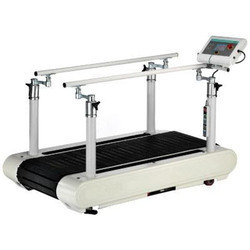 Being a well-distinguished company in the market, we are engaged in offering Medical Treadmill. Our reputed entity is engaged in supplying Medical Exercise Treadmill. We are amongst the most reputed names in the industry, offering Medical Treadmill. Cardio-Track Whispermill model 900Xl and Tandurus whishpermill model 596Xl are full featured treadmill designed specifically for medical use with direct interface through Rs232/Rs484 computer interface standard. Banking on our enriched industry experience, we are able to supply Medical Treadmill.